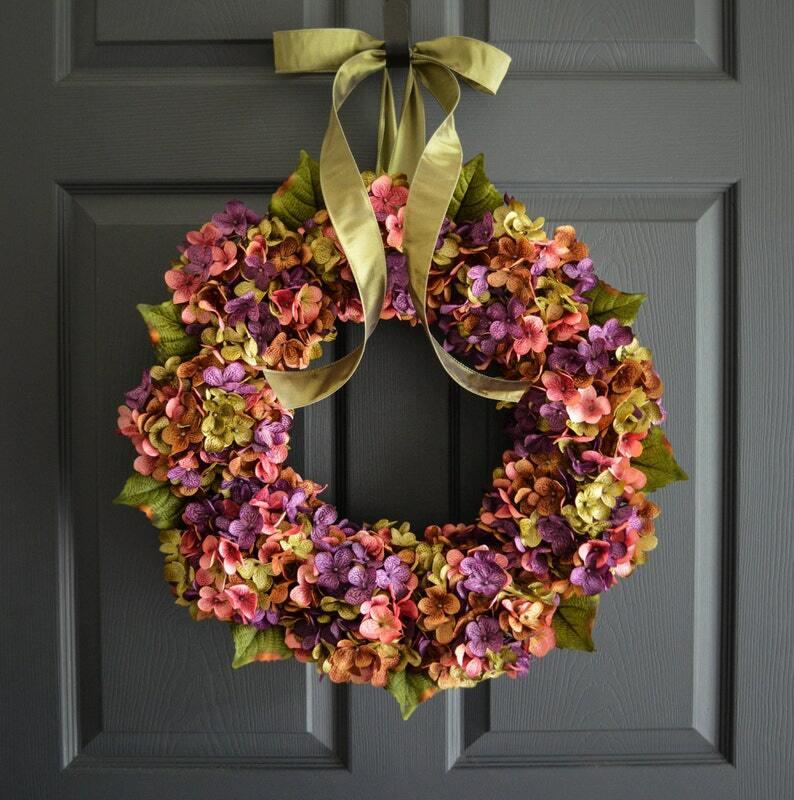 Spring Wreath, an original HHGDECOR design, that creates an artful addition as a front door wreath. 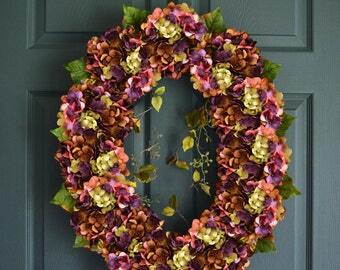 This is a handmade wreath using artificial blooms with hydrangea leaves on a natural grapevine base. The wreath is finished with a satin ribbon. It is a pretty wreath and it looks great on my door. It was packed carefully. They are handmade, so don’t expect speedy delivery. It was worth the wait. Continued empty promises on when will ship. Date kept moving back, promises kept being made and it never shipped. I'm sorry if you misunderstood my turnaround time during my peak season. We communicated and I did let you know when your wreath was shipping out and it did ship out at that time. So I am sorry I do not understanding the empty promise remarks. I do try my best to make sure I communicate with my customers about their order if they have any questions or concerns, I did communicate with you to let you know when your wreath was shipping out and I am very sorry you feel otherwise. This wreath is just as stunning in person as it is in the pictures! It truly transforms our front entrance. Thank you!